This sticky bandage is made out of a hyrdogel matrix, a stretchy rubbery material that’s actually mostly water. It can bond strongly to materials such as gold, titanium, aluminium, glass, silicone or ceramic. 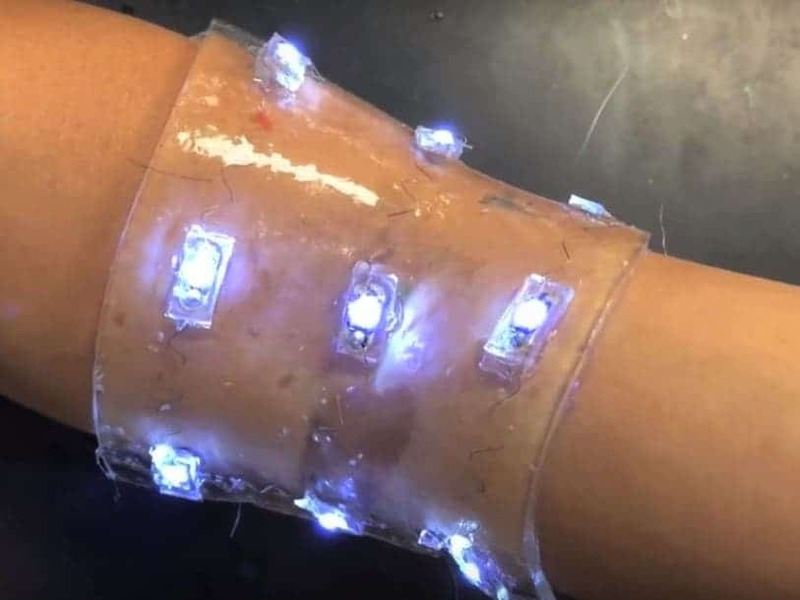 As seen in the picture above, the bandage can incorporate varied sensors, LED lights and other electronic equipment. Zhao also designed tiny and just-as-stretchy drug-delivering reservoirs and channels to be incorporated into the material. “If you want to put electronics in close contact with the human body for applications such as health care monitoring and drug delivery, it is highly desirable to make the electronic devices soft and stretchable to fit the environment of the human body,” Zhao said. This allows the “smart wound dressing” to be fitted to any area of the body where it’s needed, and to deliver medicine to the patient without the need for a human nurse or doctor. The prototype Zhao tested was fitted with heat sensors and LEDs, and programmed to administer the stored drug when the patient developed a fever. However, the bandage’s uses are only limited by the electronics we can fit into it. The LEDs can be programmed to light up if a drug is running low, or in response to changes in the patient — increased or lowered blood pressure, increases in temperatures, and so on. Zhao says that the electronics in the bandage aren’t limited to the surface of the patient’s skin either. 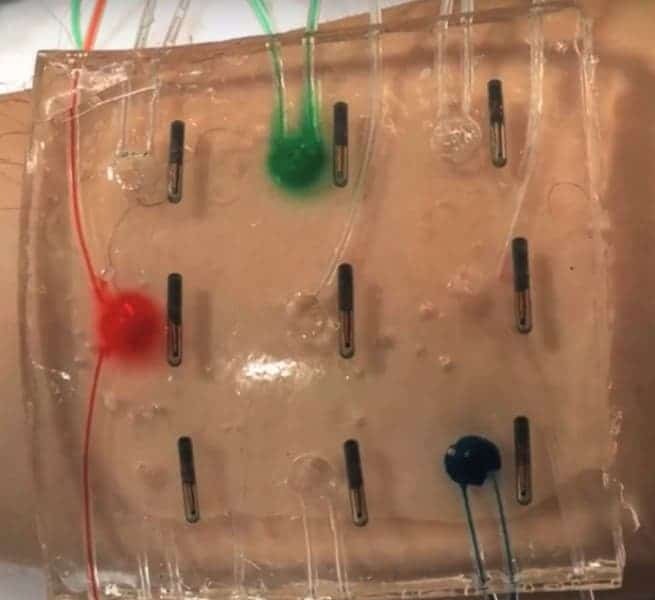 The hydrogel can be used to fix sensors inside the body, such as implanted bio-compatible glucose sensors or even soft, compliant neural probes. And you can even use it to bandage traditionally tricky, flexible areas such as elbows or knees — the gel stretches with the body and keeps the devices inside functional, intact and where they’re needed. Finally, a bandage worthy of the tech-savvy!